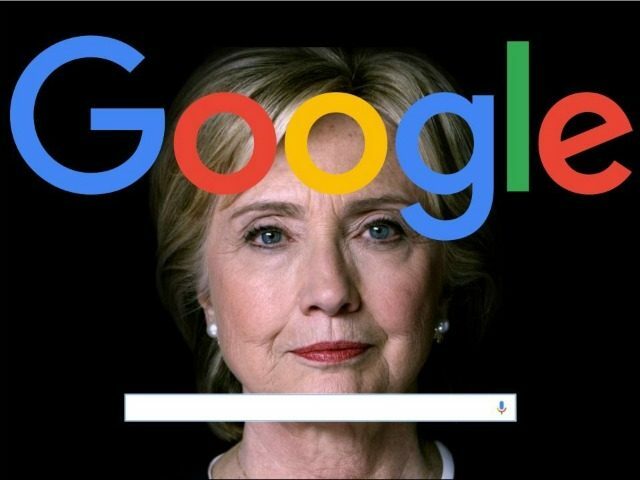 In an 85-page document recently leaked to Breitbart News, Google refers to President Trump’s claims that Google search results are biased as a “conspiracy theory,” however, there is a large amount of evidence to show that the search engine was biased towards Hillary Clinton during the 2016 election. 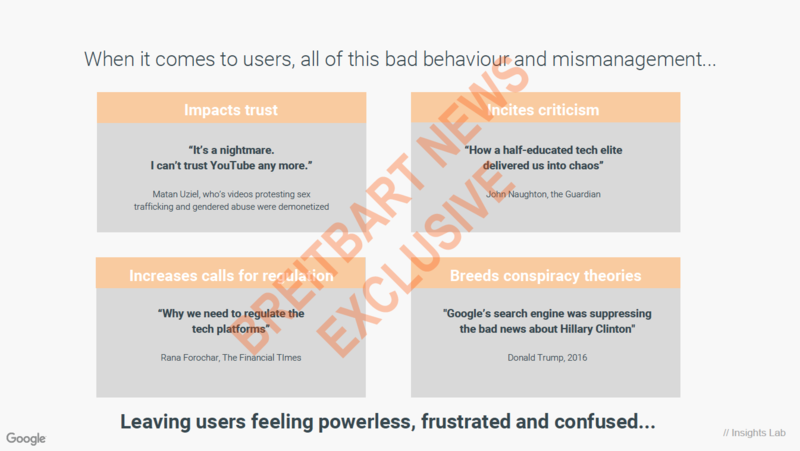 Google’s search engine bias has been an issue that not only Breitbart News has reported on. Studies by Dr. Robert Epstein of the American Institute for Behavioral Research and Technology have shown a significant level of bias in Google’s search results. 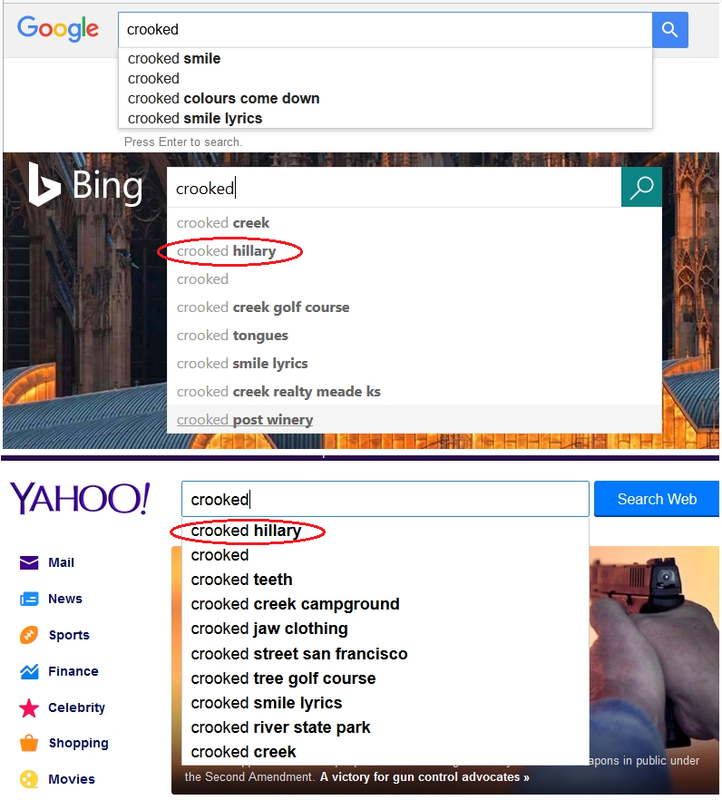 A report from Dr. Epstein published in 2016 showed that Google appeared to favor positive autocomplete search results relating to Hillary Clinton during the 2016 election, even when search terms critical of Clinton were actually more popular at the time. Epstein’s report revealed that Google manipulated search results related to Hillary Clinton during the 2016 election that had the potential to “shift as many as 3 million votes” according to Epstein. 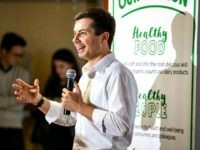 Epstein along with his colleagues at the American Institute for Behavioral Research (AIBRT) became interested in a video published by Matt Lieberman of Sourcefed which claimed that Google searches suppressed negative information about Hillary Clinton while other search engines such as Bing and Yahoo showed accurate results. 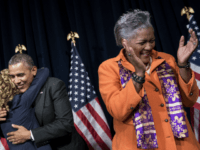 It is somewhat difficult to get the Google search bar to suggest negative searches related to Mrs. Clinton or to make any Clinton-related suggestions when one types a negative search term. Bing and Yahoo, on the other hand, often show a number of negative suggestions in response to the same search terms. Bing and Yahoo seem to be showing us what people are actually searching for; Google is showing us something else — but what, and for what purpose? As for Google Trends, as Lieberman reported, Google indeed withholds negative search terms for Mrs. Clinton even when such terms show high popularity in Trends. We have also found that Google often suggests positive search terms for Mrs. Clinton even when such terms are nearly invisible in Trends. The widely held belief, reinforced by Google’s own documentation, that Google’s search suggestions are based on “what other people are searching for” seems to be untrue in many instances. Google tries to explain away such findings by saying its search bar is programmed to avoid suggesting searches that portray people in a negative light. As far as we can tell, this claim is false; Google suppresses negative suggestions selectively, not across the board. It is easy to get autocomplete to suggest negative searches related to prominent people, one of whom happens to be Mrs. Clinton’s opponent. Without whistleblowers or warrants, no one can prove Google executives are using digital shenanigans to influence elections, but I don’t see how we can rule out that possibility. There is nothing illegal about manipulating people using search suggestions and search rankings — quite the contrary, in fact — and it makes good financial sense for a company to use every legal means at its disposal to support its preferred candidates. Epstein criticized the New York Times for its immediate dismissal of his findings: “I think that the New York Times was irresponsible in dismissing this article without ever looking at it and seeing who wrote it, they simply dismissed a lengthy, detailed, scientific report, just because it appeared in Sputnik, as if someone on Mr. Putin’s staff wrote this.” Far from being a Putin operative, Epstein isn’t even a big fan of President Trump: “I happen to be a Hillary Clinton supporter, which I said in the article,” said Epstein. When users type queries into the Google Search bar, our goal is to make sure they receive the most relevant answers in a matter of seconds. Search is not used to set a political agenda and we don’t bias our results toward any political ideology. Every year, we issue hundreds of improvements to our algorithms to ensure they surface high-quality content in response to users’ queries. We continually work to improve Google Search and we never rank search results to manipulate political sentiment. Breitbart News conducted its own investigation and discovered that over the first five pages of Google News results for “Trump,” CNN was the most listed outlet, being featured twenty times. 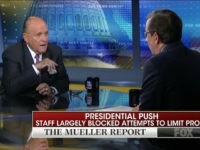 This was followed by the New York Times (featured eight times), the Guardian (seven), the Washington Post (seven), the BBC (six), USA Today (five), CNBC (four), HuffPost (three), Financial Times (three), Fox News (three), the Atlantic (three), Vox (two), CBS News (two), and the Wall Street Journal (two). Business Insider, the Independent, Wired, ESPN, the Daily Beast, NPR, Bloomberg, the Hill, ABC News, NBC News, People Magazine, TIME, Reuters, Vanity Fair, Global News Canada, the Telegraph, FiveThirtyEight, NewsHub, and Factcheck.org were included once throughout the five pages. Conservative media including Breitbart News, the New York Post, the Daily Caller, PJ Media, and Independent Journal Review were all absent from the Google News search results. Google has displayed political bias at almost every step, which has only intensified after the election of President Trump according to experts like Dr. Robert Epstein. The latest leaked documents add further legitimacy to reports like Dr. Epstein’s and Breitbart’s previous reporting on these topics, it would appear as if Google’s days of plausible deniability are coming to a close.